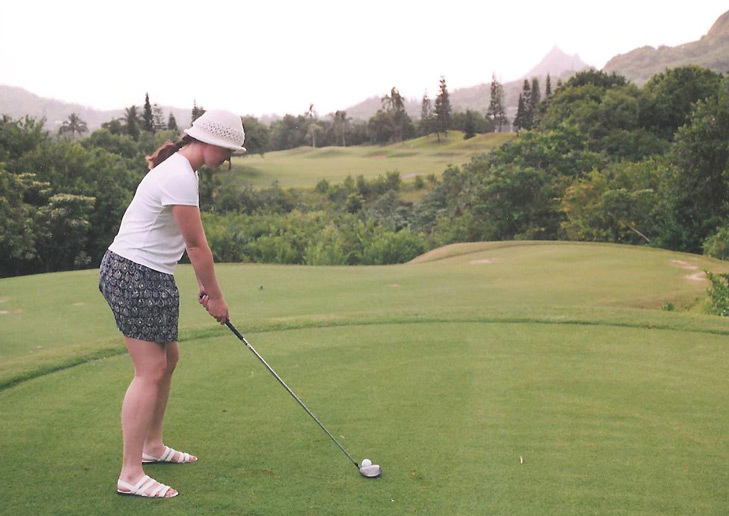 Ko’olau Golf Club Hole 1: One of the strongest opening golf holes ever, number 1 is a long par 5 with ocean views that doglegs left and sweeps down a hill with jungle on both sides and cross bunkers coming into play on the first two shots. The approach is well downhill to a green surrounded by bunkers and jungle that gives a taste of the frightening shots that will plague the golfer all day. 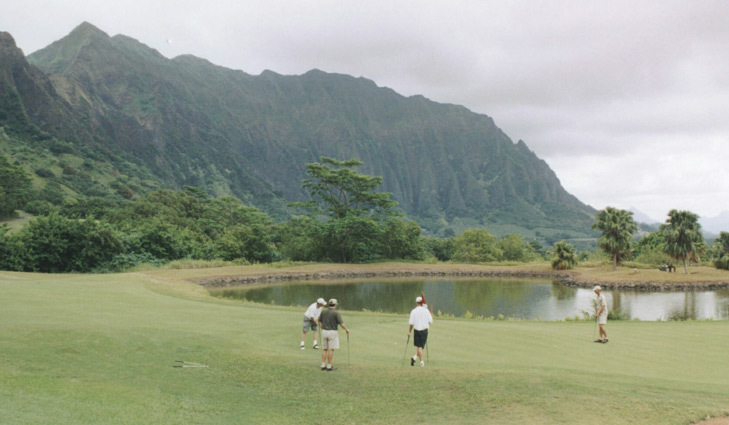 Ko’olau Golf Club Hole 5 (right): Another dogleg right par 4, this one features a fairway split by jungle. The aggressive play is almost suicide as the carry is close to 250 yards from the back tee with zero room for error. Even the safer play to the left fairway is extremely difficult as it is narrow and will leave a 200 yard approach to one of the more easily accessible and puttable greens on the course. 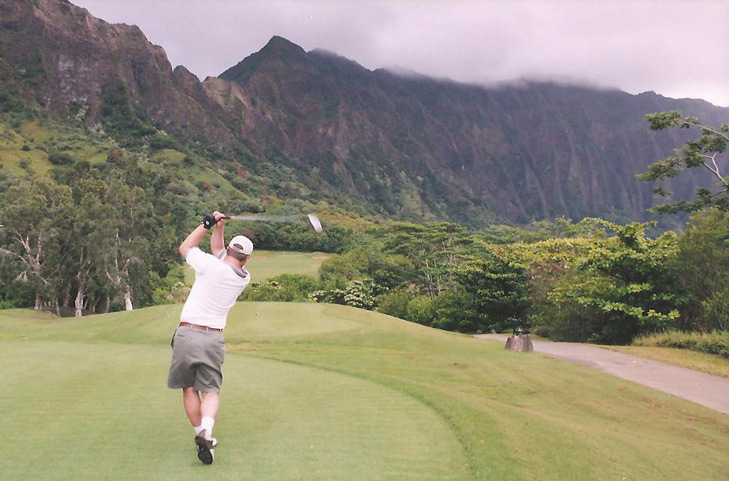 Ko’olau Golf Club Hole 6: This par 4 is a second shot masterpiece. The drive is straight and must be played well in order to leave a less intimidating approach. That approach is extremely daunting as it features a forced carry over jungle to a well-bunkered green. From the fairway it seems as if there is no room for error. However, once to the green, the player will note that there is more room short and left than original thought. Nonetheless, this is a very difficult hole that will test the golfer’s nerves. Ko’olau Golf Club Hole 8: The only hole on the front that the player can honestly view as a birdie opportunity is the mid-length par five 8th hole. The drive is over jungle and must not go left, but the second and third shots are relatively wide open, leaving a chance to get more aggressive and get close to a pin. Ko’olau Golf Club Hole 12 (right): One of the few short holes on the course will again demand extreme accuracy, as there is literally no room for error. Not only is there only a few feet of rough separating the fairway from jungle, but the trees are so thick and overhanging that the ball trajectory must be low and straight to avoid trouble. The approach, once again is over thick jungle to a green surrounded by bunkers or jungle. 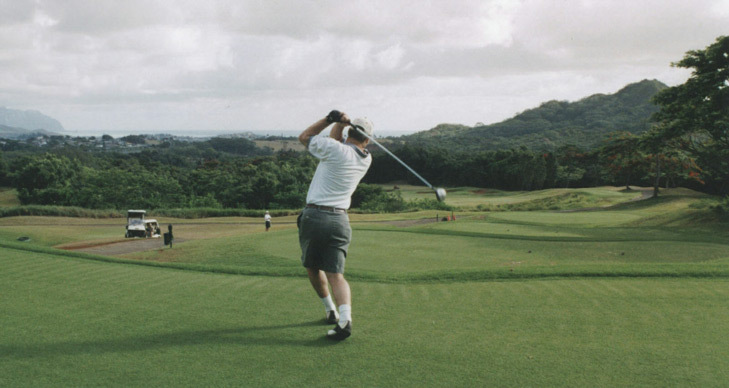 Ko’olau Golf Club Hole 14 (below): Yet another long par four with a clear message: hit the ball long, hit it straight, or never see it again and take a big score. This one is also uphill. Ko’olau Golf Club Hole 15: From the high point of the course, this hole is actually a breather as, although it still takes accuracy, it isn't as long as many other holes and lacks a real hazard in the middle of the hole. The views from the tee are great in every direction. 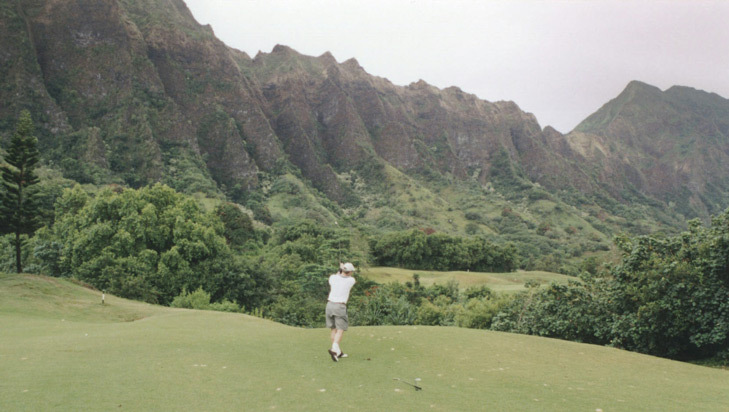 Ko’olau Golf Club Hole 16: This meandering par 5 requires a drive of about 220 yards unless it is perfectly threaded between the bunkers and jungle, which is not a high percentage play. The second will then have to be a long, well-place iron or fairway wood to another sliver of fairway. The approach will have to avoid the only lake on the course that nestles against the green’s left side. Ko’olau Golf Club Hole 18: Definitely the hardest finishing hole ever. At 476 yards, this beast is amazingly difficult. The drive requires a 220-yard carry over the jungle just to hit one of the fairway bunkers 250 yards from the green. To hit the fairway requires a 240 yard carry and really needs something longer to leave a manageable approach to the green. This slanted green is back over the jungle and is surrounded by deep, unforgiving bunkers. A huge tree guards the left side and will nab anything hit over there. Par is an unbelievable score here. 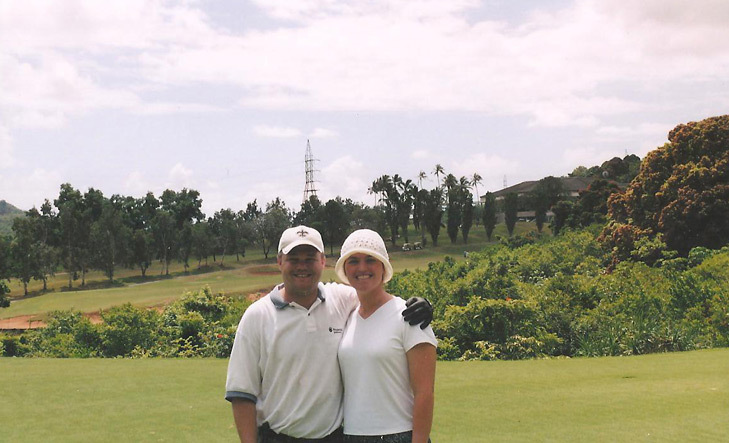 More Hawaii Golf Reviews Await You.